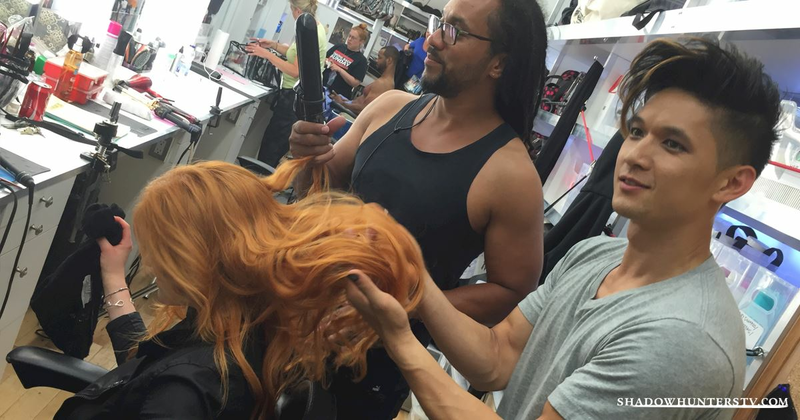 [EXCLUSIVE PHOTOS] Magnus: Warlock and Hair Stylist! 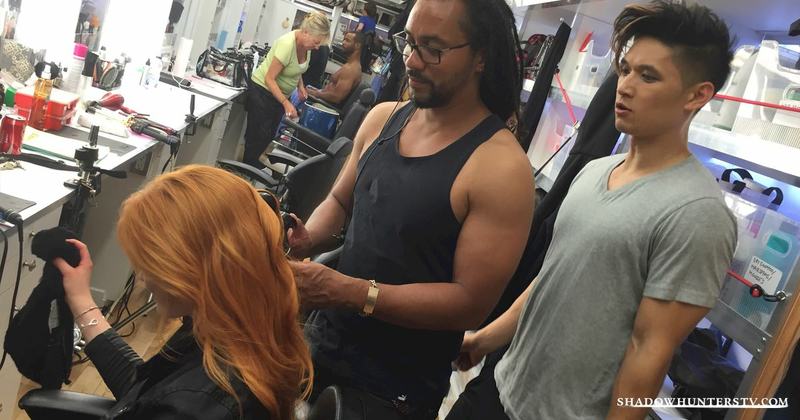 He starts by observing hair stylist Ryan Reed as he crafts Clary's famous flame red hair. Magnus Bane. Warlock by night, professional hair ruffle-upper by day! 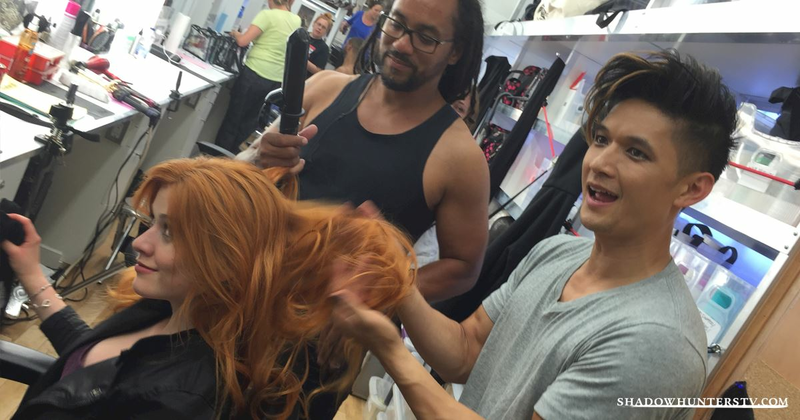 So, would you trust Magnus with your hair?? With locks as bountiful as his we couldn't think why not, but drop us your thoughts all the same!